Plant factories are the future of farming. And a new market research report from Wintergreen Research indicates that the Plant Factory market will reach a total estimated value of $1.97 billion by 2020. 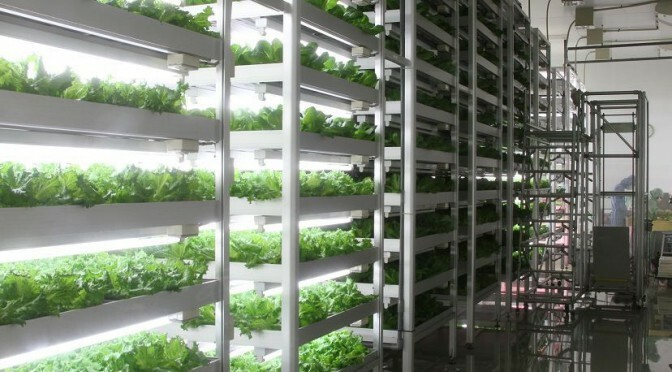 These are important predictions to make as proponents of vertical farming and automated urban agriculture try to ramp up investment support for the necessary Plant Factory technology. Plant Factories are high-tech, highly-automated, commercial growing facilities that are able to produce yields 24/7 and year-round. In a Plant Factory’s closed environment, grow trays are stacked upon each other under grow lighting systems and safeguarded from the elements. The entire growth process is completely automated and conducive to economies of scale in order to control cost, quantity, and quality against the required harvest time. This allows the producer to determine sale price just as in any other industrial production factory. 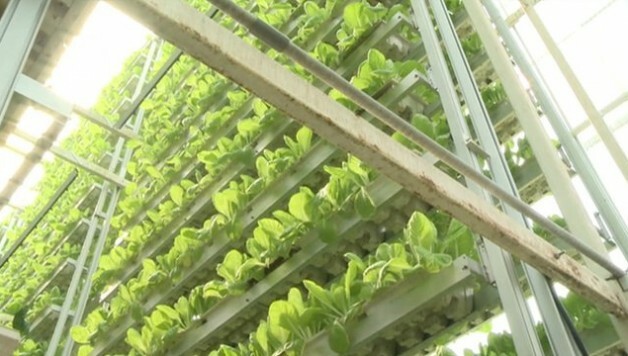 Vertical Farming & Plant Factory markets are expected grow with technological advancements. Image via Innoplex. Because Plant Factories employ Controlled Environment Agriculture practices, crops are safer and not exposed to pests and diseases and therefore don’t require massive amounts of herbicides and pesticides as in traditional agriculture. According to the Wintergreen Research report, Plant Factories yield two to four times faster than in open-field agriculture and the yields themselves are ten to twenty times greater. The systemized nature of the Plant Factory means that constant crop improvements can be made in order to perfect efficiency and quality. This is ideal especially for high-value crops which need to maximize efficiencies throughout the grow cycle to maintain their margins. Plant Factories are an optimal testing ground as well for new technologies in lighting and energy. Advancements in solar and wind energy mean that operating a Plant Factory can now have environmentally and resource-friendly power options. Additionally, the horticultural lighting used in Plant Factories is highly energy efficient and is designed to maximize growth. The LED’s used in a Plant Factory provide the full spectrum of light that plants require to optimize growth, enhance light during winter months, and offer more “day light” that is timed to provoke certain growth stages. This fully automated technology is just one step closer to the complete systemization of our lives. Food is a vital aspect in our existence so naturally it only makes sense to maximize efficiencies and make appropriate investments in our ability to produce fresh, healthy food. The technology available to us now means that more people will have the opportunity to produce food at home and in businesses meaning that not only is food production once again looked at as an innovative economic engine, but it’s also capable of becoming a massive social enterprise as well. Feature Image: Plant Factory vertical farm in Singapore. Image via BBC News.